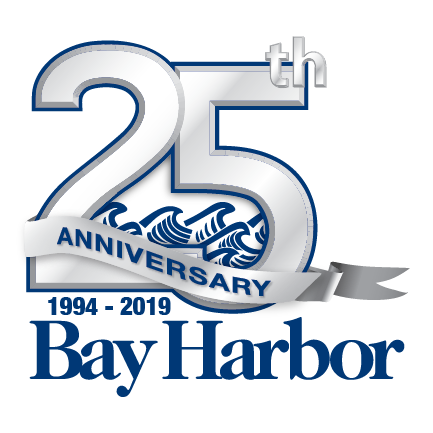 As the President of Bay Harbor Company, Mike will collaborate with the Bay Harbor Company leadership team to provide executive oversight of the property management, hotel and home rental program, event planning and conference center, marina, development and leasing. As a 30-year industry veteran, Mike is well-versed in all aspects of commercial real estate and has advised the leaders of major corporations and institutional owners. Mike was most recently overseeing regional operations for Newmark Knight Frank’s offices in Chicago, Ohio (Cincinnati, Columbus and Cleveland), Pennsylvania (Pittsburgh and Philadelphia) and Detroit. His focus was on managing brokerage profitability, growth, development, strategic planning, recruiting and retention. Mike also worked 11 years with CBRE, a Fortune 500 and the world’s largest commercial real estate services and investment firm (in terms of 2019 revenue) where he held a number of leadership positions. Most recently, he was Global President of Valuation and Advisory Services, where he was responsible for the global integration and growth of the firm’s valuation and advisory services business line. Previously, he was President of CBRE’s U.S. Central Division. In that role, he provided executive oversight for 29 offices in nine states. He also held the role of Chief Learning Officer, responsible for the firm’s learning and development programs. He became a member of CBRE’s Global Operating Committee in 2014. Mike has earned many notable achievements throughout his career, including being named a top executive by Detroiter Magazine, a rising star in the 40 Under 40 list by Crain’s Detroit Business and a member of the Midwest Real Estate Hall of Fame. He is active in numerous professional and charitable endeavors. He is a member (and local past president) of Society of Industrial and Office Realtors and is a Certified Commercial Investment Member and a member of the board of the properties committee for Cranbrook Educational Community and also the on the Building and Grounds Committee for Academy of Sacred Heart. Mike also was an Adjunct Professor at Wayne State University where he taught Real Estate Finance to juniors and seniors enrolled in the business school. Throughout Mike’s career he has successfully closed more than 990 leases and sale transactions with an aggregate consideration of over $1 billion. Mike lives on Walloon Lake with his wife Debbie and has three children. He enjoys outdoor sports including skiing, tennis, golf and boating.